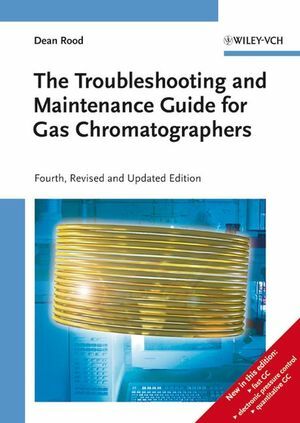 This fourth edition of the classic guide for every user of gas chromatographic instrumentation is now updated to include such new topics as fast GC using narrow, short columns, electronic pressure control, and basic aspects of quantitative gas chromatography. The author shares his many years of experience in technical support for gas chromatography users, addressing the most common problems, questions and misconceptions in capillary gas chromatography. He structures and presents the material in a concise and practical manner, suitable even for the most inexperienced user without any detailed knowledge of chemistry or chromatography. For lab technicians in chemistry, analytical, food, medicinal and environmental chemists, pharmaceutists. Dean Rood is now an independent consultant after working as the Manufacturing Engineering Manager at the capillary GC column manufacturing facility of Agilent Technologies in Folsom California. Prior to holding this position, Dean was an Applications and Technical Support Chemist for 11 years. Dean has presented over 500 classes, seminars and papers on GC and related chromatographic techniques. He is an Associate Editor of the Journal of Chromatographic Science, co-writes the monthly column on GC Troubleshooting and Problem Solving, and has authored numerous papers and book chapters on analytical chromatography.